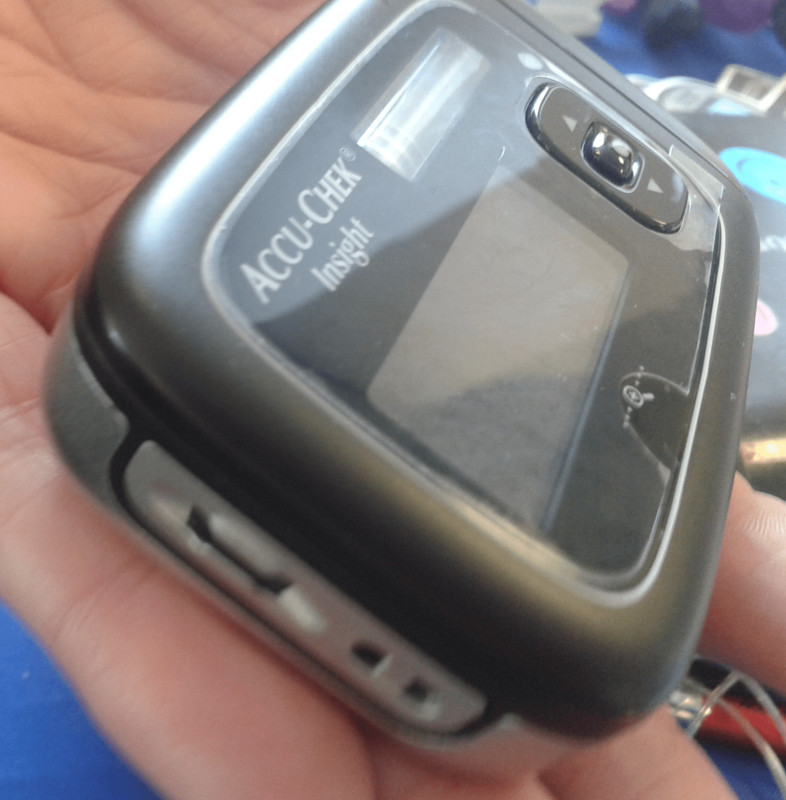 Tagged accu-chek, insulin, roche. Bookmark the permalink. I can’t wait for this pump, so excited!! Hi, could someone tell me if the new reservoir filling system could be used on another pump? I am blind but don’t want to use this particular pump after looking at other options. I know it has a prefilled cartridge too but want to go with an older pump maybe. I can’t see how it works but perhaps it cold be used with another pump. Hi Julie, I’m not sure if it could used with another pump’s reservoirs or not, although the reservoir did look similar to my daughter’s Animas Vibe ones. I’m at a jdrf event this weekend so if Roche are there I will try and ask. Hi there, thank you for the info, there isn’t much available yet for this pump! my DSN said I can upgrade mine when this is released and like you she has just done the training too! I’ve had my combo for 4.5 yrs. Yes I think that’s what it’s for, although I only had a quick look at it. Oh brilliant! I’m a real saddo and like to record everything on my pump so currently transfer all my info onto another app so that will be a lot easier! You were so lucky to see one of these and so early. I have been told there are none available and no brochures . Nor will I be able to see one when I have to choose my new pump this month. I cant believe you have seen and handled one of these in March.. I am due to finish my 6 year pump contract early (Sept 2014 ) instead of Feb 2015 so may miss out on the technology, as I was given someone elses pump who didn’t get on with it. When I spoke to Roche they say they are still in trials and have no info to send out, but did get some info on the phone, so I have to make a choice without seeing this one??!! .. It looks so good, but hope they have cured the air bubble problem I have also been told that if they don’t release this pump I have to stay on the Combo which they are lending out until this is released. I LOVE the small size which will make life easier for the 6 year contract, but not so mad about the no waterproof warranty and not sure whether they have reduced the air bubble problems. Can anyone help with this. Not easy choosing a pump which isn’t out, and which my DSN hasn’t got a demo of and won’t have for some time?! The Animas looks good with selling points but its the same size and a bit longer than the spirit/combo So for comfort and everyday active wear a much smaller pump would be wonderful. THANK YOU for posting this.. and you were so lucky to actually see and handle one.. Does anyone know whether there are any education days like this in Cornwall? Thank you so much for the info .. We were told at a Type 1 meeting some time ago that only nurses and doctors were invited to such things, so I have to admit I haven’t looked since. And as Roche here have nothing to show me and there’s the whole waterproof issue, despite really liking the fact this seems to be a lot smaller and no end cap , I am not sure I want to risk being stuck on a combo with no waterproof guarantee because I wanted a smaller lighter pump. Hey ho!!! Thanks for your site, and help. Looks great! However, am I correct when I notice there’s only 1 available option for a needle here? (Insight Flex Infusion Set). With my current pump, I love the fact that I was able to switch needles when it was needed (last year).